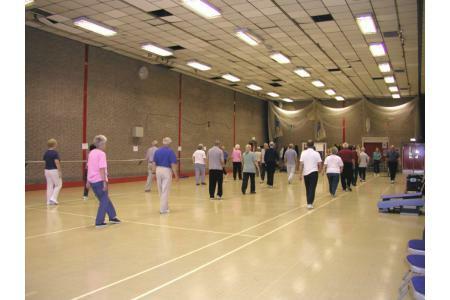 Cardiac Rehabilitation through Exercise and Walking. CREW helps heart patients leaving hospital after a cardiac event or other heart problems such as angina,hypertension,diabetes and other pre Heart related disease who have permission from their Health Professionals to take part in structured exercises with qualified exercise and Tai Chi instructors mostly qualified at BACR levels plus walking sessions to enable them to get back to as full a life as possible. 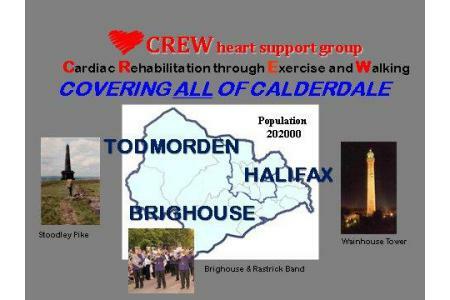 Since late 1999 CREW heart support group has offered it's services to Calderdale people who have had the misfortune to suffer Heart problems. CREW are available to ensure Cardiac Rehabilitation patients and those others at risk of Heart Disease can learn to change their lifestyles with Exercise and Walking to keep them fit and healthy and to ensure that once our formal programmes are finished, they are not alone. Our extensive social interactions play a vital part in continuous after care. 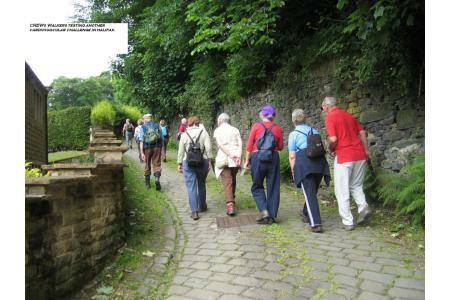 CREW offer an important service to anyone across the whole of Calderdale who has a heart related problem, so that they can improve and prolong an active lifestyle.This applies to them and their carers who play a vital role in any sort of Rehabilitation. CREW are looking for volunteers to take on various task in the running of the organisation. For example a Membership Secretary, with skill sets in computing is urgently required. would maintan our defibrillator programme ie battery packs/wall brackets.